In the parking lot. At the front desk. Stationed in the hallways. Libertyville High School’s security team has a ubiquitous presence at school. Each member of the team brings their own unique traits to the job, allowing the group to function dynamically with wide ranges of knowledge and experience. From being police officers to professional baseball players to fire chiefs, the LHS security team has done it all. Among their responsibilities here, security is in charge of scanning in visitors to the school at the main and studio theatre entrances, checking over 50 exterior doors, and being visible and available in the hallways. 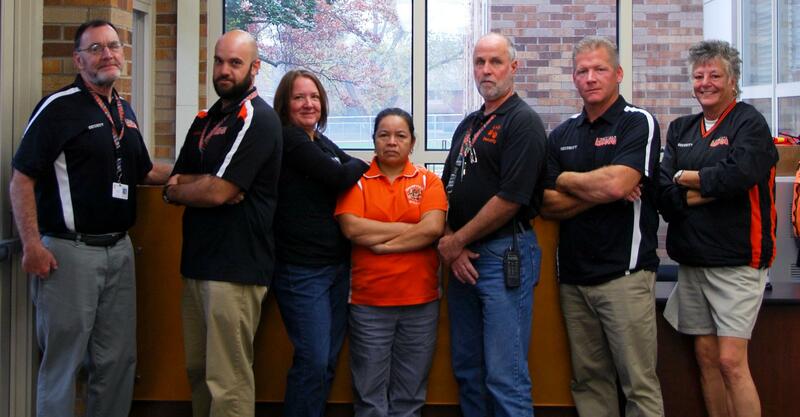 This team of eight professionals have the security of the building and safety of students as a top priority. However, interacting with students and forming relationships with them come as a close second. 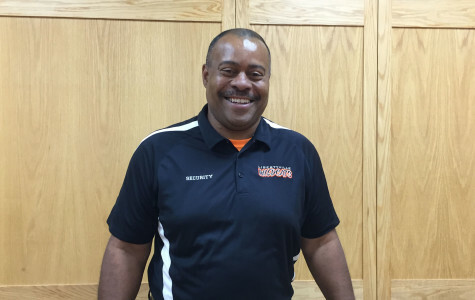 Each of the eight security guards said that interacting and forming relationships with students as they mature in their four years at LHS is one of the best parts of the job. “They teach me a lot, and we teach each other a lot,” Ms. Joan Boro said, regarding the students.